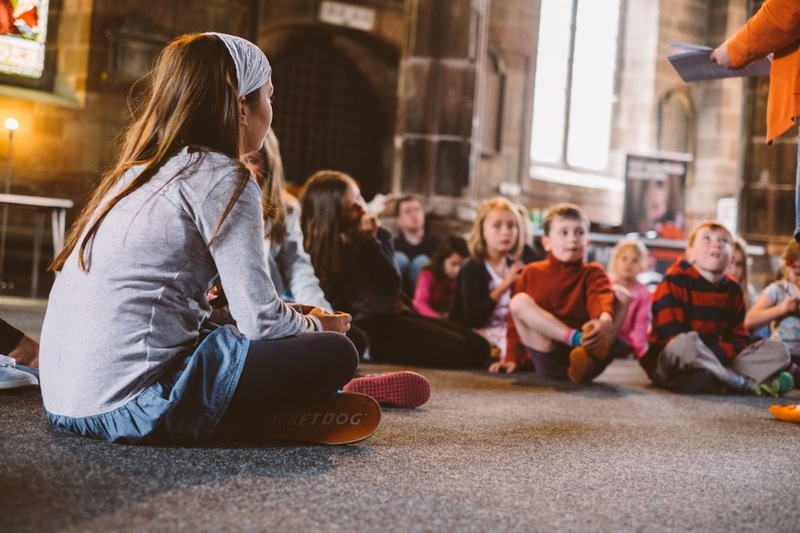 “Adventurers”, our Children’s Church, meets every Sunday morning (although on special occasions we pull everyone together for whole church celebrations). Most of the time everyone starts together in the 10.30am gathering at the All Saints building before parents/carers take children across to St Helen's for Adventurers. The exception is the 3rd Sunday of each month, when Adventurers is a little longer - children are taken straight over to St Helen’s for a 10.30am start. All these groups are about making space for our children to engage in vibrant relationships with Jesus and nurturing them into lives of grace, generosity, hospitality, justice for the poor, humility, authenticity and fun, as together we learn to follow the leadings of God's Spirit. Leader: We are currently in a transitional period. Mainly Music is a fun midweek music group for parents and caregivers to enjoy together with their preschool children. It’s an opportunity for adults and children to build memories and spend quality time together. Mainly Music aids the development of preschool children through the use of music, rhythm and rhyme. It provides children with a structured environment and free play, and gives parents the chance to enjoy each other's company. The morning starts with an interactive 30 minute music session, followed by coffee/cake/snacks and the chance to relax and chat while the children play with toys. Every Tuesday during term time, 10-11.30am, at the St Helen's building. £3 per session. Throughout the year we also host social events for children and their parents/carers, including "Family Film Mornings" during half-term breaks, "Stay & Play" mornings during school holidays and annual favourites like our "Light Party" alternative to Halloween. See the latest term card for dates and check eNews and the monthly news sheet for details.